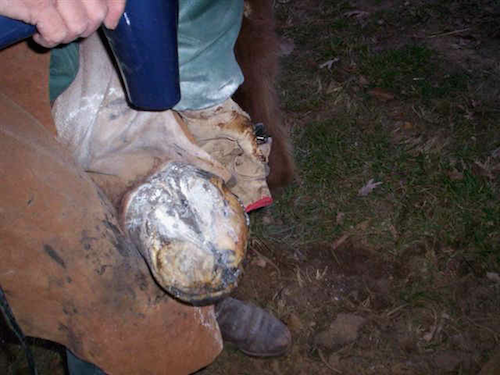 These are the photos of Amy Johnson’s warmblood mare that she was going to put down. 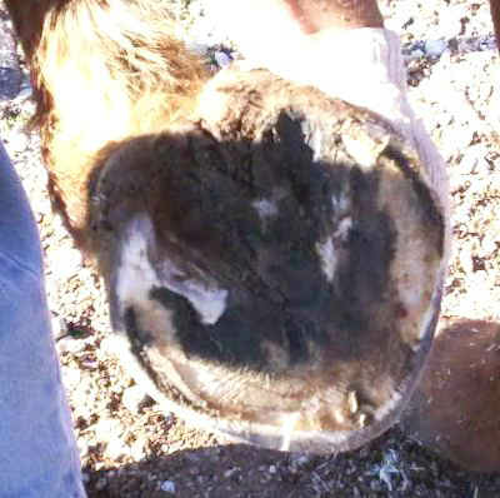 She had previously been foundered and consequently, got abscesses, hoof rot, etc. and the only treatment she had was to be shod. 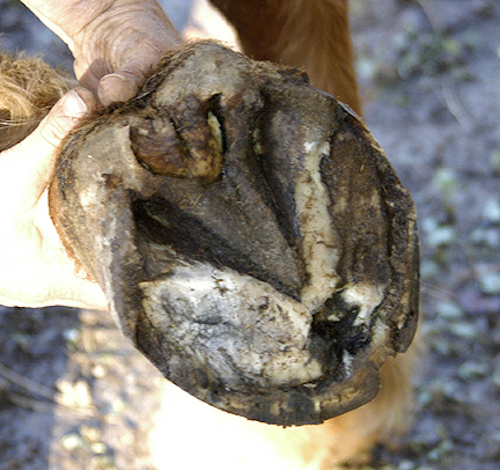 I took off shoes and sealed the whole hoof top and bottom with HoofArmor. I put on two coats about two weeks apart the first time in November 2005. but after that just did one coat each in December 2005 and January 2006.